Actor Deepika Padukone has debuted the first look of her upcoming film Chhapaak, directed by Meghna Gulzar, reports Hindustan Times. 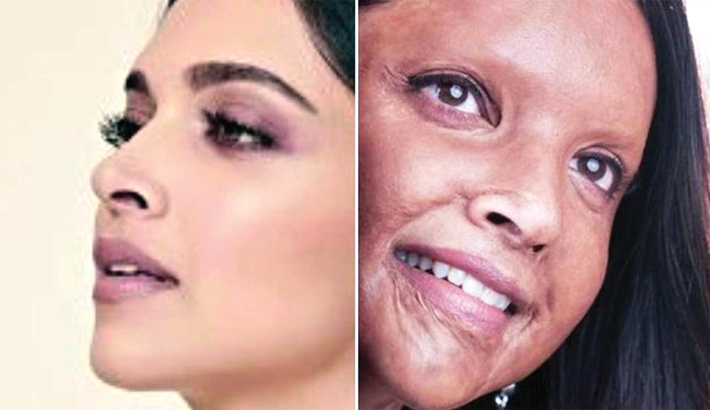 Deepika Padukone’s character in Chhapaak is based on acid attack survivor Laxmi Agarwal. Actor Deepika Padukone has shared her first look from her upcoming film, Chhapaak. The actor plays acid attack survivor Laxmi Agarwal in the film, currently being shot under the direction of Raazi’s Meghna Gulzar. The actor had recently shared a behind-the-scenes image from a table read session from the film, which also showed her co-actor, Vikrant Massey, in a bearded look. “All things are ready, if our mind be so,” Deepika quoted William Shakespeare in the caption.